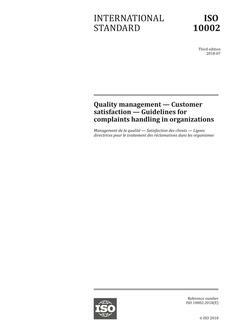 This Technical Report provides guidance on the selection of appropriate statistical techniques that may be useful to an organization in developing, implementing, maintaining and improving a quality management system in compliance with ISO 9001. This is done by examining those requirements of ISO 9001 that involve the use of quantitative data, and then identifying and describing the statistical techniques that can be useful when applied to such data. The list of statistical techniques cited in this Technical Report is neither complete nor exhaustive, and does not preclude the use of any other techniques (statistical or otherwise) that are deemed to be beneficial to the organization. Furthermore, this Technical Report does not attempt to prescribe which statistical technique(s) are to be used; nor does it attempt to advise on how the technique(s) are to be implemented. 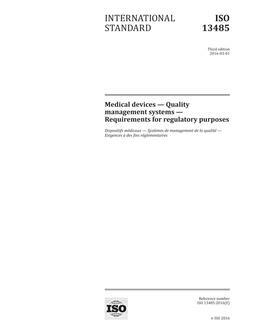 This Technical Report is not intended for contractual, regulatory or certification/registration purposes. It is not intended to be used as a mandatory checklist for compliance with ISO 9001:2000 requirements. The justification for using statistical techniques is that their application would help to improve the effectiveness of the quality management system.